Gisteren zijn een select groepje Ford Focus RS Mk3 fans uitgenodigd om als eerste kennis te maken met de Limited Edtion van de 2018 Ford Focus RS. 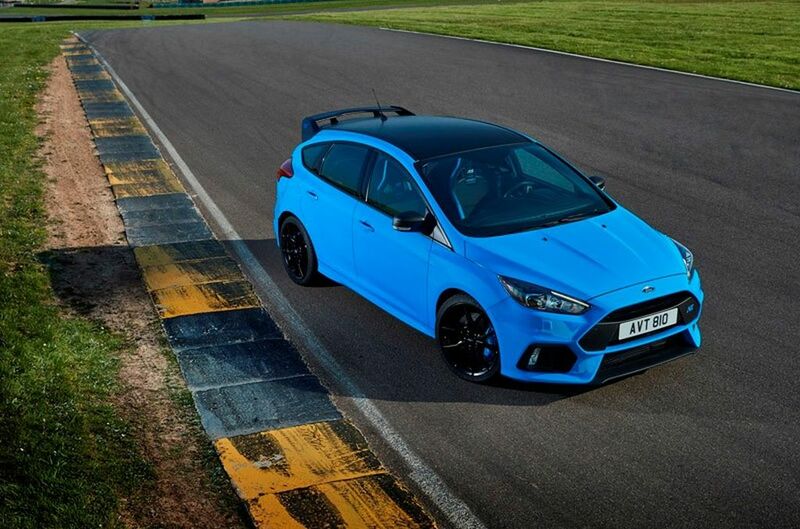 En dit was niet zonder reden, Ford heeft geluisterd naar deze ‘diehards’ met als resultaat dat de 2018 Ford Focus RS Limited Edition in productie gaat. Er worden 1000 units gebouwd voor de United States en 500 voor Canada. 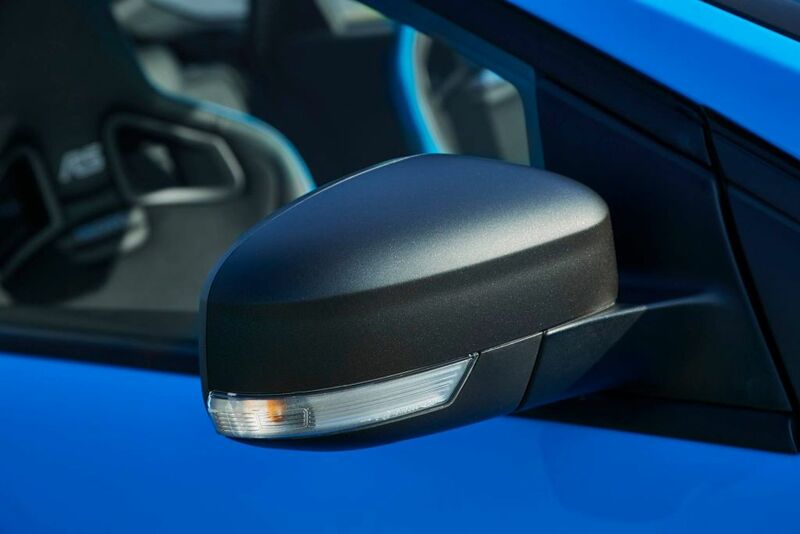 Ford Europe heeft Focusmania.com laten weten dat er een vergelijkbaar aantal beschikbaar komt voor klanten in Europa. 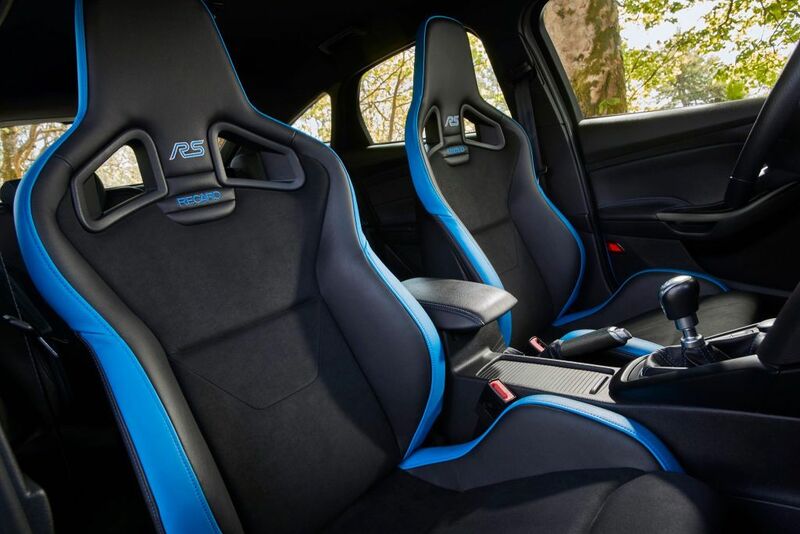 to each other and posting comments online about the Ford Focus RS hot hatch performance car have led to a special 1,500 unit limited-edition celebrating the end of run of this generation hot hatch. 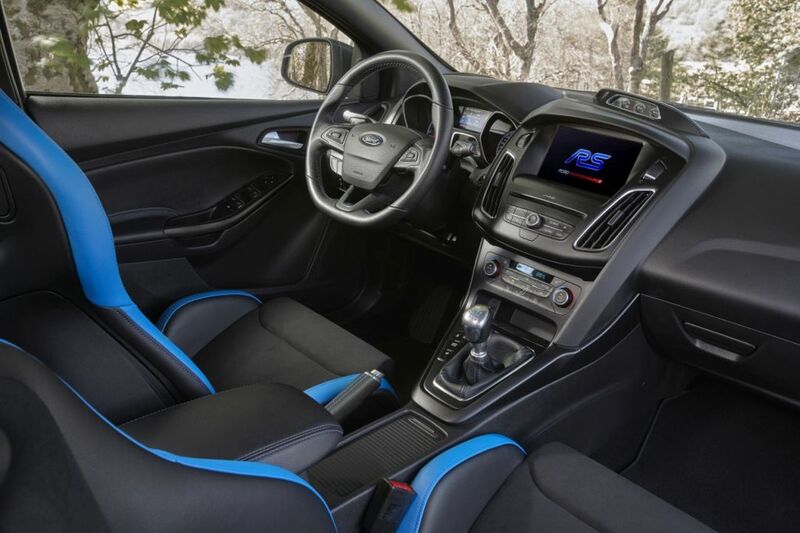 Passion from the enthusiast community led Ford to introduce an exclusive new version of its critically acclaimed Focus RS for North America. 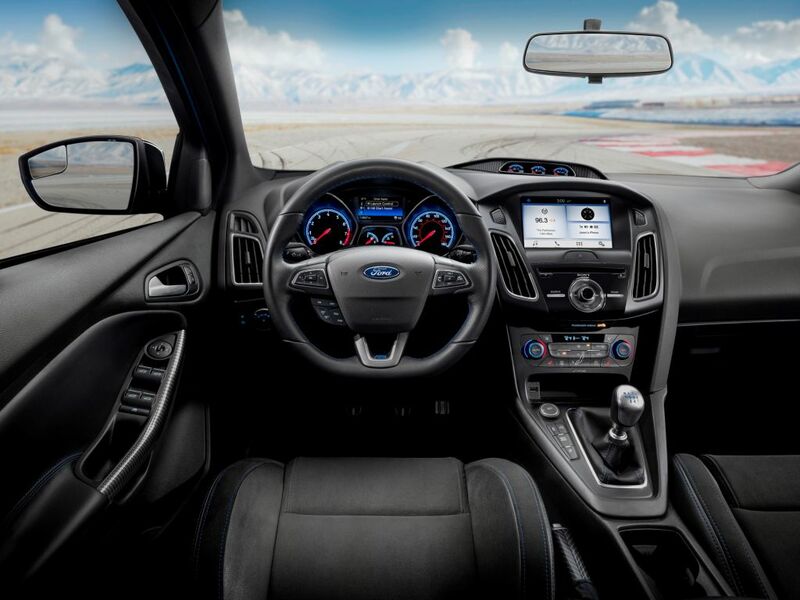 Ford was listening.The new 2018 Focus RS Limited Edition hot hatch adds a few commonly requested features that unique interior and exterior styling, and a new mechanical limitedslip differential. Available in new Race Red or signature Nitrous Blue body color – both featuring striking new gloss black roof and mirror caps. 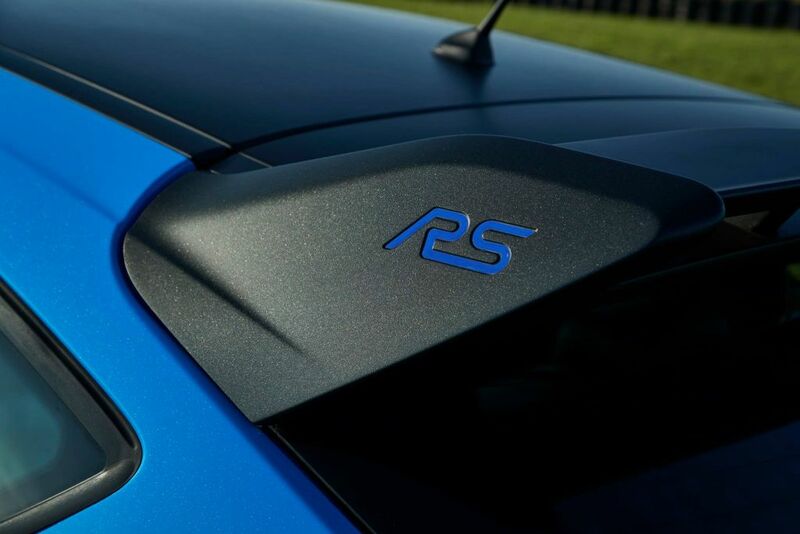 The rear roof spoiler also features gloss black finish, with blue RS logos on the side wings. Now standard are 19-inch premium painted forged alloy wheels with blue RS center caps. From the cockpit, the door handles, handbrake lever and turbo boost gauge surround are wrapped in carbon fiber skin, while equipment from the RS2 Package is standard, offering black leather-trimmed RECARO® seats with Miko-Dinamica eco-friendly suede microfiber inserts and RS logo, heated front seats with eight-way power driver’s seat, heated steering wheel, heated exteriormirrors and voice-activated navigation system. To really excite driving enthusiasts, the global Ford Performance team developed a standard mechanical Quaife® limited-slip differential for the front axle that further improves Focus RS performance. 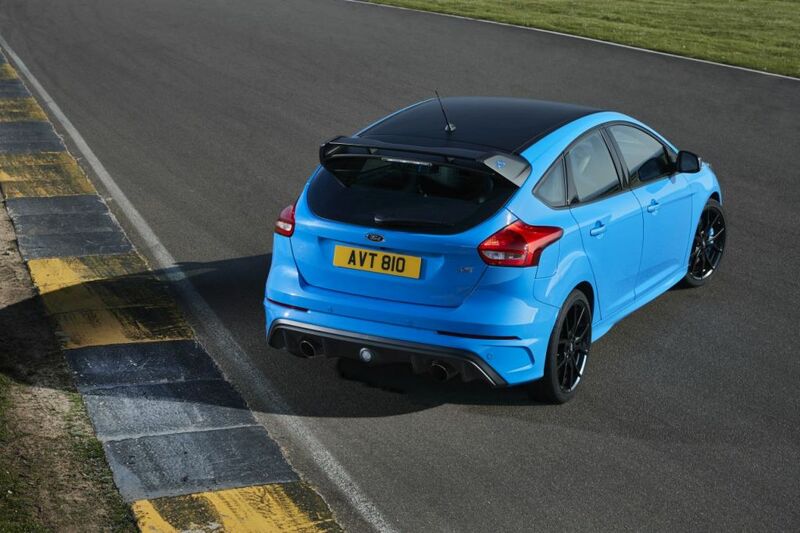 This limited-edition Focus RS will more easily carry speed through a corner on the track, and allow for maximum acceleration on the way out. 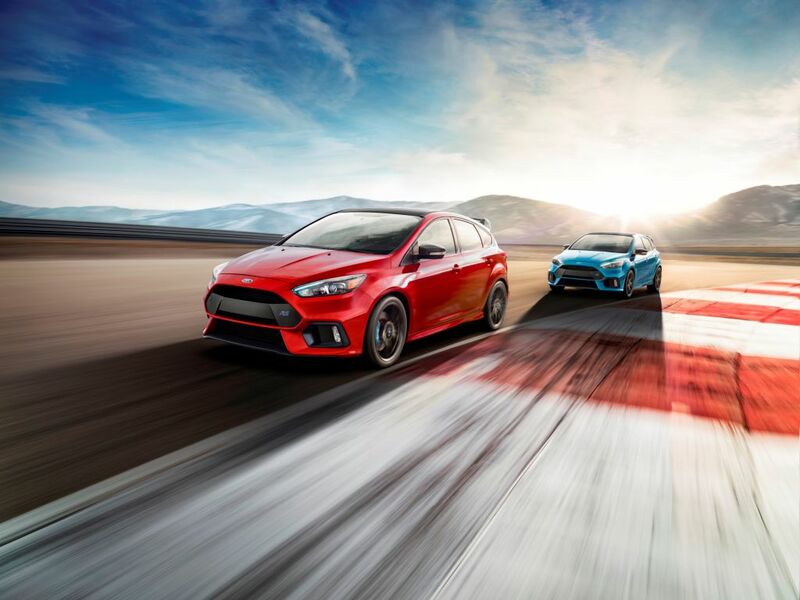 By controlling the torque delivered to each front wheel, the Quaife limited-slip differential enables 2018 Focus RS drivers to fully tap the 2.3-liter EcoBoost® engine’s 350 horsepower. The limitedslip differential limits engine torque delivered to a particular front wheel that has reduced traction on the road surface, redistributing torque to the wheel with more traction to reduce differences in wheel spin that can hamper acceleration and stability. Dynamic Torque Vectoring, which uses electronically controlled clutch packs on the rear axle to send 100 percent of an average 70 percent available torque to either rear wheel, and can switch drive from one side to the other in as little as 0.06 second – or about the time it takes a humming bird to flap its wings 4 times. 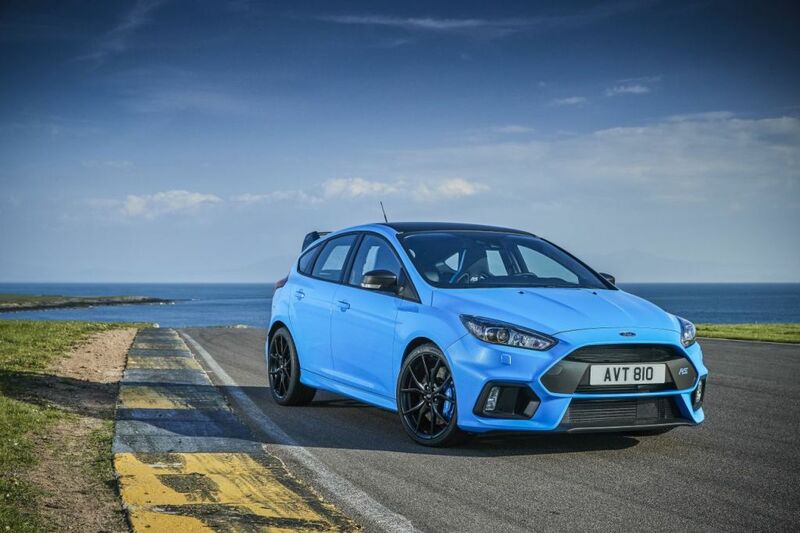 Only one thousand limited-edition 2018 Focus RS performance cars will be available in the United States and 500 in Canada, with deliveries beginning in late 2017, marking the last opportunity to order the current generation Focus RS in North America. 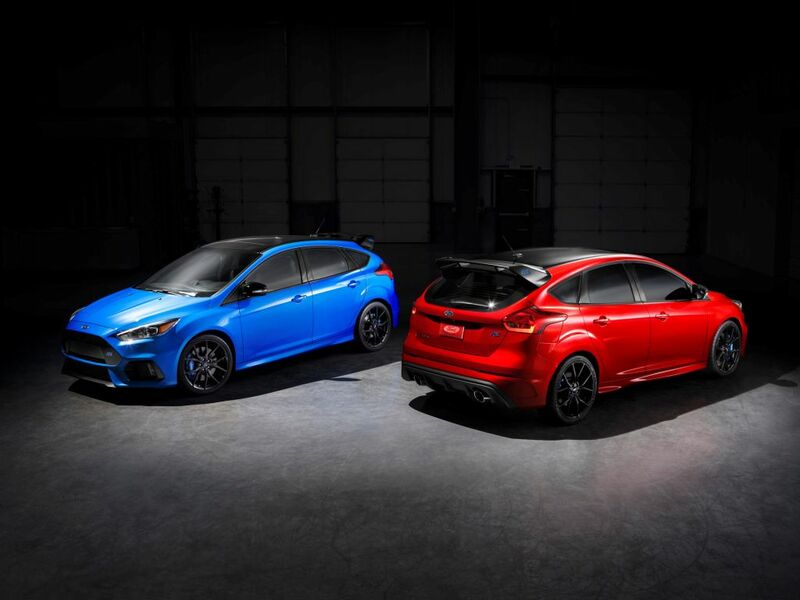 The limited-edition Focus RS joins Ford’s iconic Ford Performance vehicle range in North America, alongside the recently launched Ford GT supercar, F-150 Raptor, and much-loved Shelby GT350 Mustang, Focus ST and Fiesta ST. Note: Vehicle horsepower ratings achieved with 93-octane fuel.